Everybody loves taking selfies, now take them with a cool backdrop and prop in the Selfie Booth. 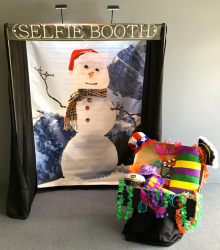 The Selfie Booth is a photo opportunity that is inexpensive and fun for all ages. There is no camera, all you do is grab a prop, use your own phone or camera and take a picture! 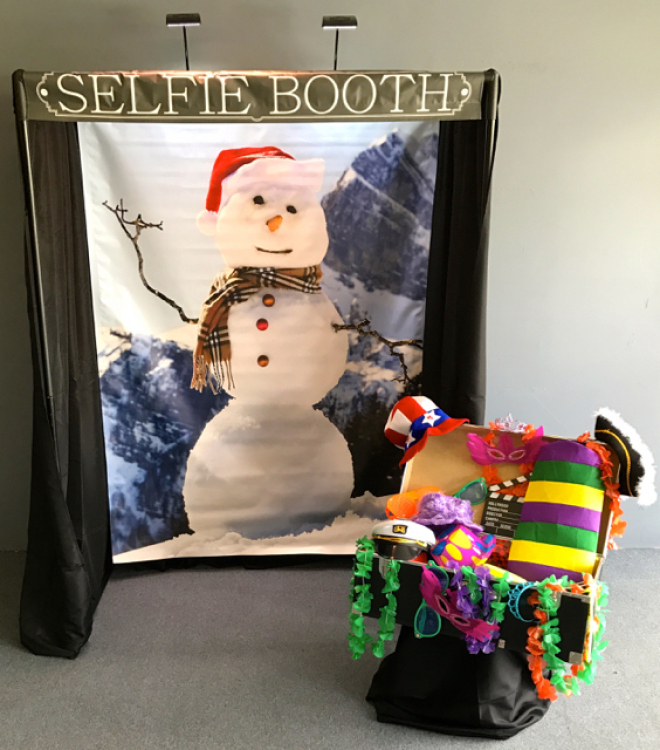 Selfie Booth is perfect for parties, after-proms, bridal showers, kids birthday parties, graduation parties, family reunions, school fun days, church events, weddings, and company events. It's a blast! The backdrops are printed using the latest high quality digital print process. They are printed on special “non-glare vinyl”. This material is a special, smooth scrim vinyl that produces photo-like results. $50 non-refundable deposit required at time of booking per Inflatable. Deposit must be paid with credit card. Remaining balance will be due at delivery or time of customer pick up. We accept cash, Visa, Mastercard, & Discover. We do NOT accept personal checks! Church and School checks are accepted! DELIVERY – We deliver Inflatable Rentals to the Tulsa & Muskogee area. The best price for deliveries is 5 hours and less. You select the time you would like the Inflatable ready, we deliver and set it up before that set time, and then come back to take it down after your event is over.